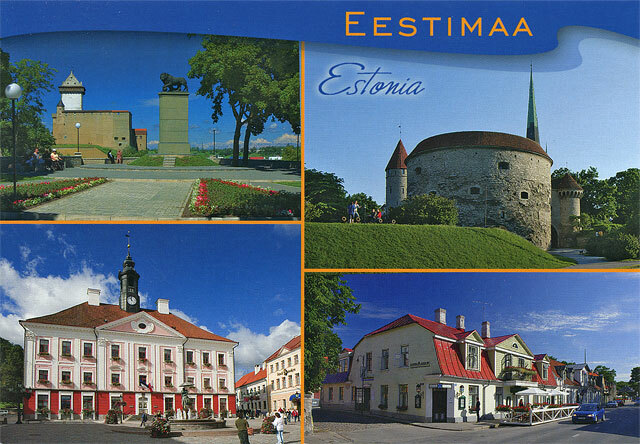 Throughout history Harjumaa (area 4333 sq km, population 120 000, with Tallinn about 530 000) has, due to its location, been in the center of the important historical and cultural events of Estonia. Therefore the Harju County (former Revala County) also has the largest number of cultural monuments of all the counties. 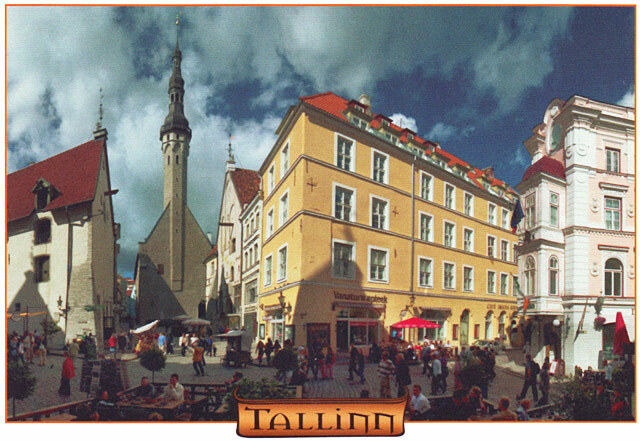 Historic Tallinn is the center of Harju County. 1. 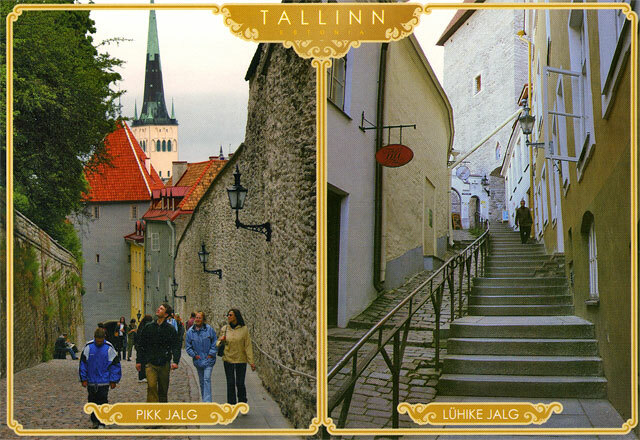 The Old Town of Tallinn, belonging to the UNESCO world heritage list, is one of the most well-preserved medieval towns in Europe. 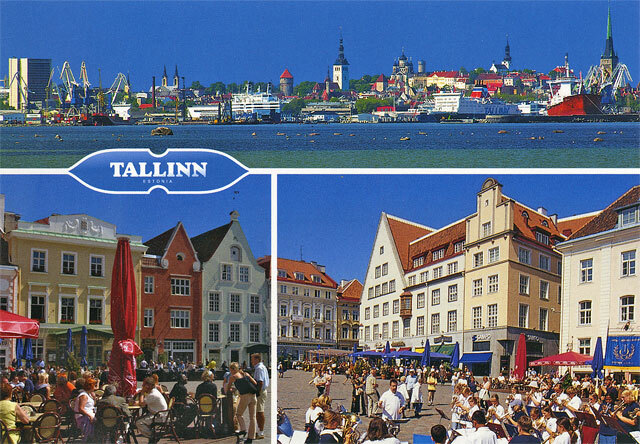 In the Middle Ages Tallinn was one of the biggest and mightiest towns in Northern Europe, as all the trade routes, without exception, between the hanseatic towns of Western Europe and Russia passed Tallinn. 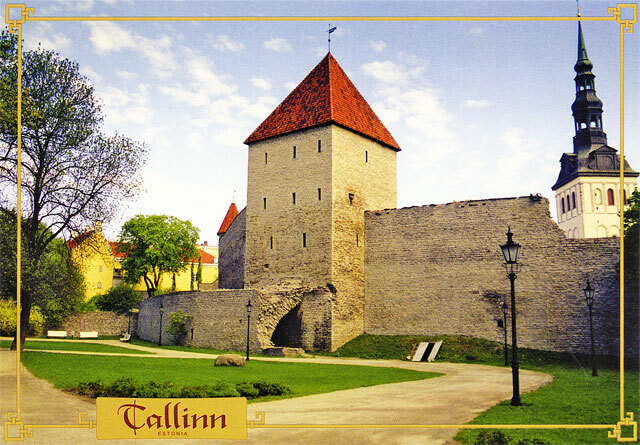 Due to its mighty fortifications Tallinn has never been destroyed in wars and as there are no wooden buildings, Tallinn has also never been burnt down. 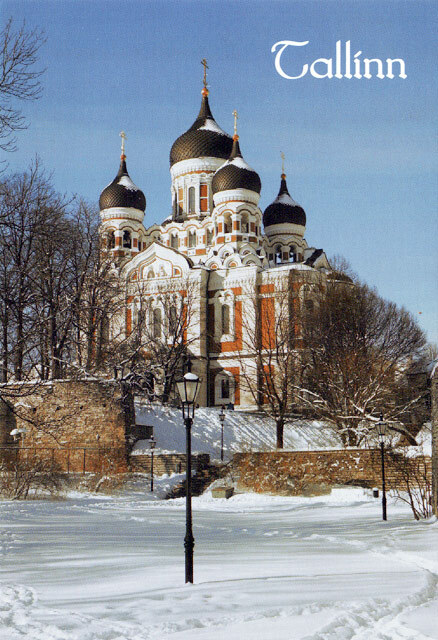 Perfect documentary material about the welfare of Tallinn has been preserved in the form of the account-books of the town council, churches and guilds and other documents of that time. 2. 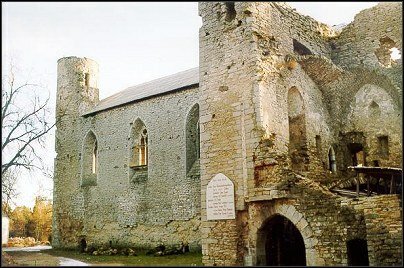 The pre-history of the Padise Convent dates back to the beginning of the 13th century, when the Padise Convent became a land property of the Dunamunde Cistercian Convent. 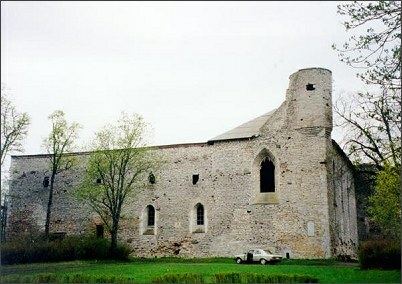 Following the permission from the King Erik Menved in 1317 the erection of the grandiose complex of a fortified convent began. In the times of uprising Padise Convent was the centre of large estates. 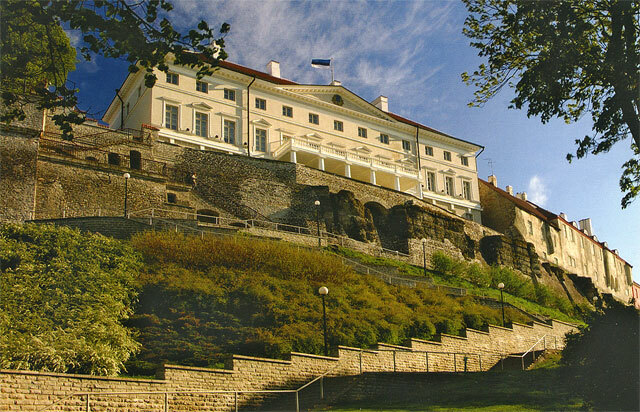 During the Uprising of Juriöö in 1343 the Convent was burnt down and 28 monks and lay brothers were killed. 3. Jägala Waterfall (height – 8 m) is one of the highest and fastest flowing. Over thousands of years the falling water has worn out the edge of the limestone banks and as a result a steep-sided valley about 300 m long and 12-14 m deep has been created. 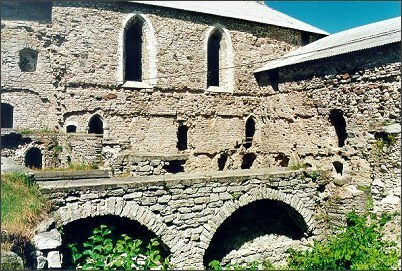 The oldest written information about a water mill (the beginning of the 13th century) derives from this place. The best impression of the mightiness of the waterfall can be obtained in the period of high waters in spring and autumn. 4. Türisalu Bank is one of the most impressive places of the North Estonian limestone coast, towering up to 31 meters. A good view opens out to the Island of Naissaar and Vääna-Jõesuu. On the Landscape Reserve of the area grow many rare plants, including shrubby cinquefoil, fringed pink, black cotoneaster, etc. 5. 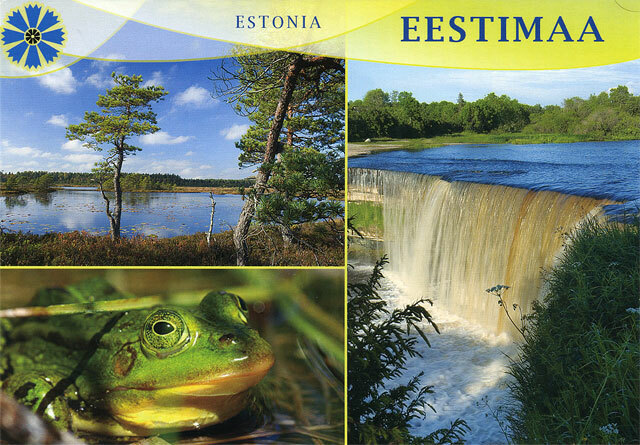 In Tuhala Karst Region (188 ha), the biggest Karst Region of Estonia, all typical forms of Karst are represented. The best known features of the region are the Witch Well, "boiling" at the times of floods, and Virulase Karst Cave (54 m), the longest Karst cave in Estonia - you can get to know the exciting Karst landscape on the 2,5 km walking trail. 6. 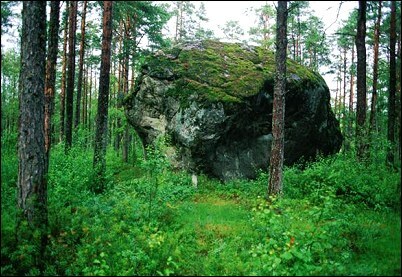 А 1.8 km path starting from the Virve Crossroads leads to the biggest boulder of Lahemaa - Majakivi (the 3rd biggest boulder in Estonia), situated in the center of the Juminda Peninsula in the Lahemaa Nature Park. On the top of the peninsula a former rocket base and a monument for a shipwreck are situated. 7. 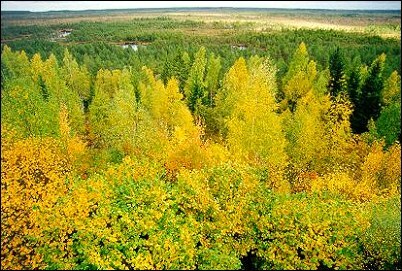 Põhja-Kõrvemaa Landscape Reserve (area 11 283 ha) was created in 1991 to preserve relatively untouched landscapes and ecosystems. The region, also called Estonian Switzerland, is extremely diverse: with steep sided eskers and plateaus formed by the withdrawal of the glacier sheet 12 000 years ago, and in hollows between them some 50 forest lakes, bogs and different types of forests. 8. Naissaar (Nargen, Nargo) (area of 18.56 sq km) is the sixth biggest island in Estonia. According to findings it can be said that the island has been permanently inhabited since at least 9th-10th century; throughout the Middle Ages until 1940s the island was inhabited by both the Swedes and Estonians - the names of the places on island were in both languages. A world known optician Bernhard Schmidt, who invented a new type of telescope, descends from the Jaani Farmhouse in the Village Lõunakula. 9. Pakri Islands (Suur-Pakri and Väike-Pakri) (area 24.5 sq km) were inhabited in 1345 when five Swedes bought the Island of Suur-Pakri from the Padise Convent. In the year 1934 there were 341 people on the islands, most of them Swedes. The islands form the Pakri Landscape Reserve. The biggest tourist sight is the steep bank (height up to 25 m); black guillemots nest on a bank terrace and numerous protected plant species grow in the neighbourhood. 10. 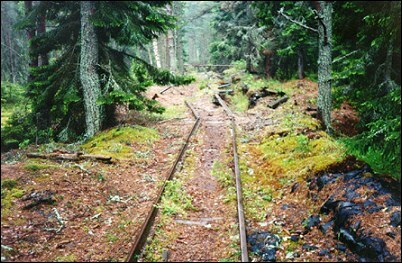 About 30 kilometers west of Jõelahtme just off the Tallinn-Narva road toward Loksa you will find the Viru Bog Nature Trail. This 3.5 kilometer nature trail is actually a wooden walkway built right on top of one of Estonia's many bogs (approximately one third of Estonia is wetland). Explore this unique feature of Estonian nature via the walkway or by mounting the Observation Tower.